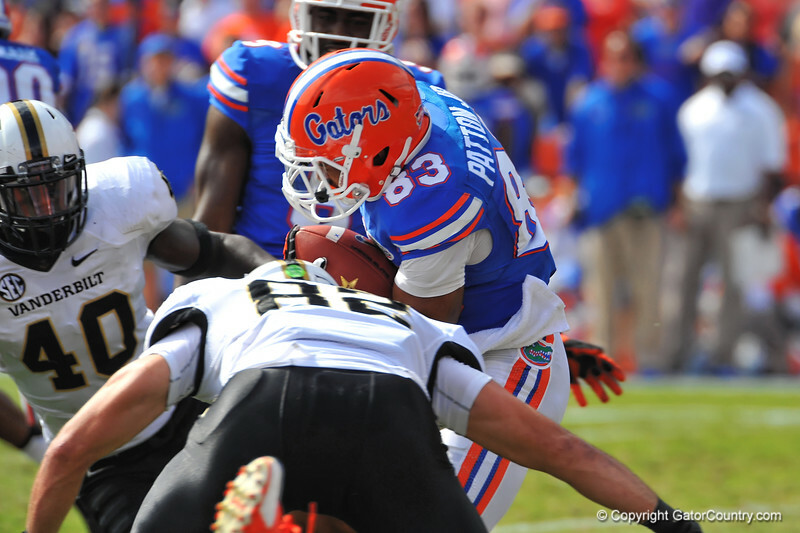 Florida Gator WR Solomon Patton brings the kickoff out of the endzone and is tackled by Vanderbilt TE Kris Kentera. Florida Gators vs Vanderbilt Commodores. Gainesville, FL. November 9, 2013.